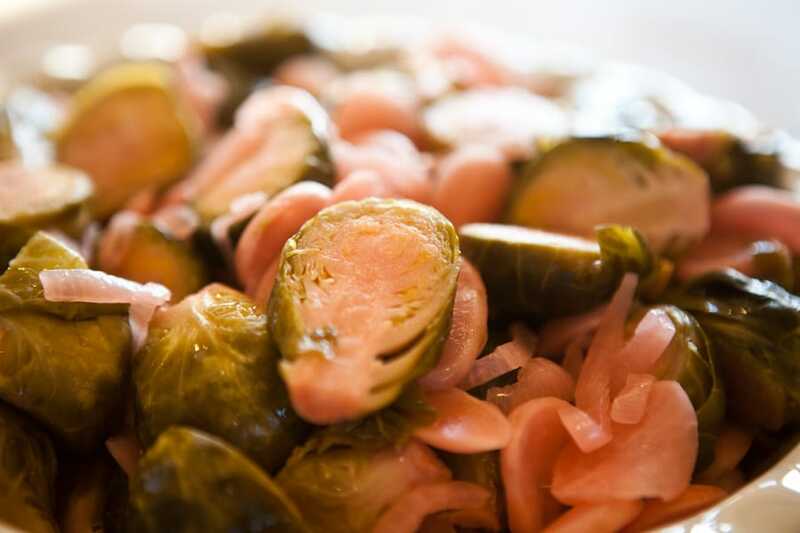 This is one of my absolute favorite sauerkrauts to make and most importantly eat. 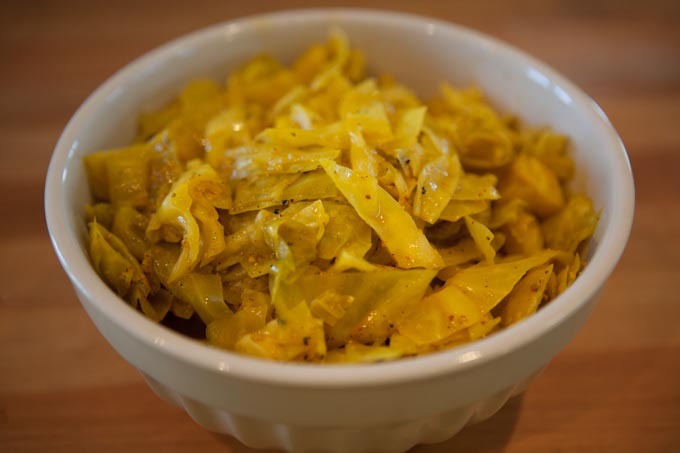 It follows the fermentation process of a regular sauerkraut, but adds lots of Indian-style spices to make a robust flavor. 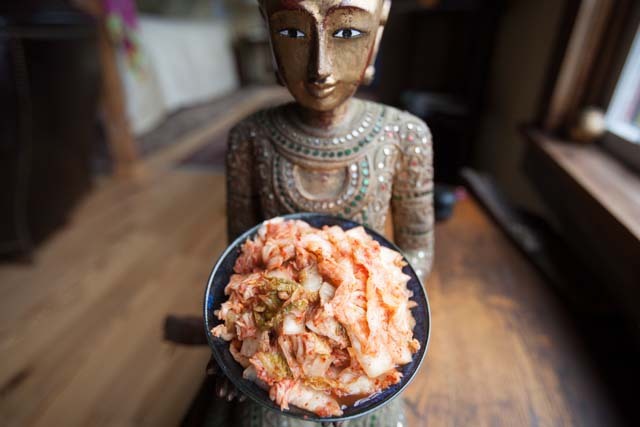 I named this recipe somewhat playfully as Shiva is the Hindu deity also known as “The Transformer,” and these spices do indeed have the ability to transform an ordinary sauerkraut into something more special. He’s also known as the Lord of the Dance and this concoction has the ability to make your knees jiggle a little when you eat it! Feel free to play with other spices or different amounts of the ones listed, and comment if you have any suggested modifications. 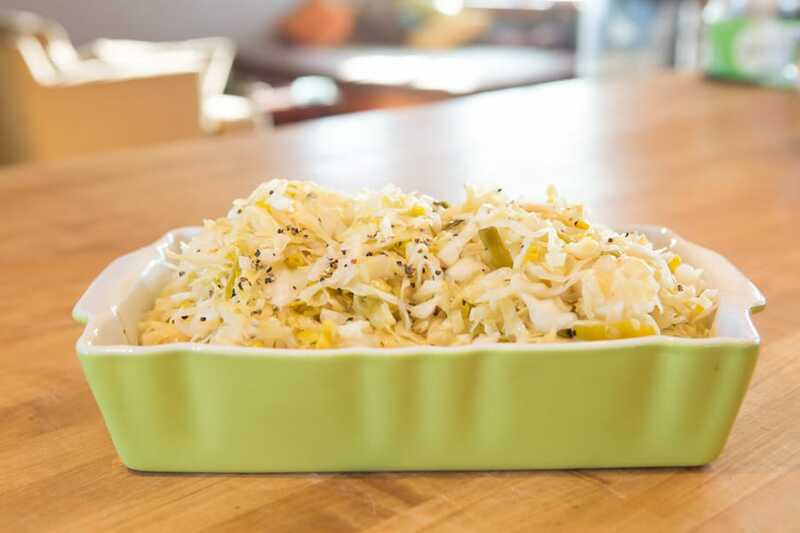 To me, this sauerkraut shows the value of experimenting in your kitchen. 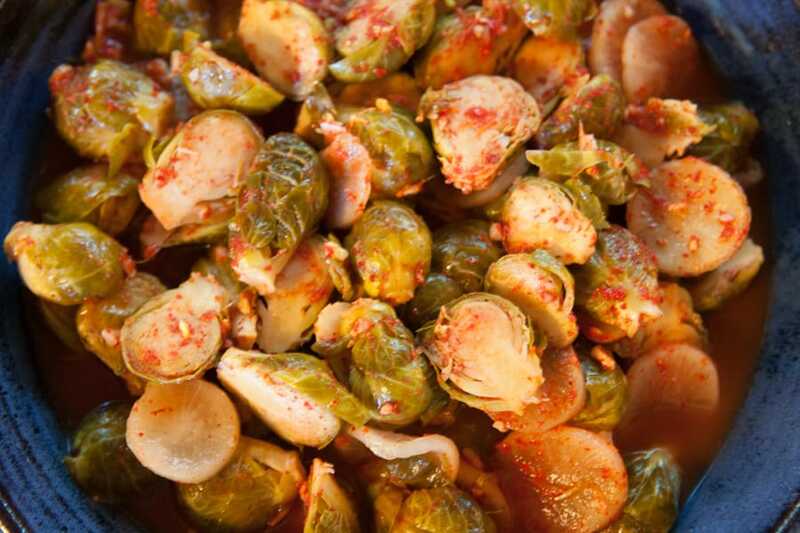 When creating this, I just tried adding a bunch of spices to a new batch of sauerkraut to see what would happen. It came out good enough, but I fine tuned the spice levels in the next go-round to better perfect what you find in this recipe. Start by removing the outer leaves of the cabbage it they are looking a little sketchy. it they look fine, you should at least wash them off a little to remove potential contaminants. Chop the cabbage. I prefer to cut it in fat ribbons about 3/8 – 1/2″ wide. No need to grate it. 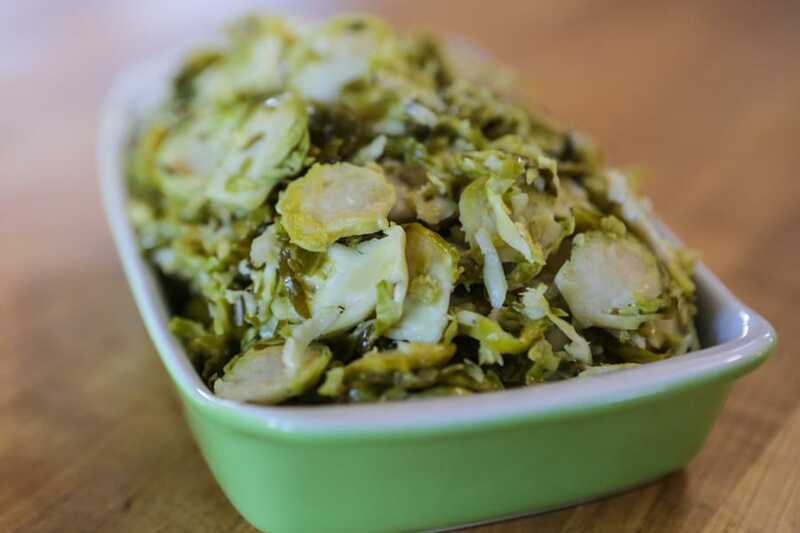 In a large bowl, toss the sliced cabbage with the salt and let sit for 30-60 minutes until it starts to sweat. 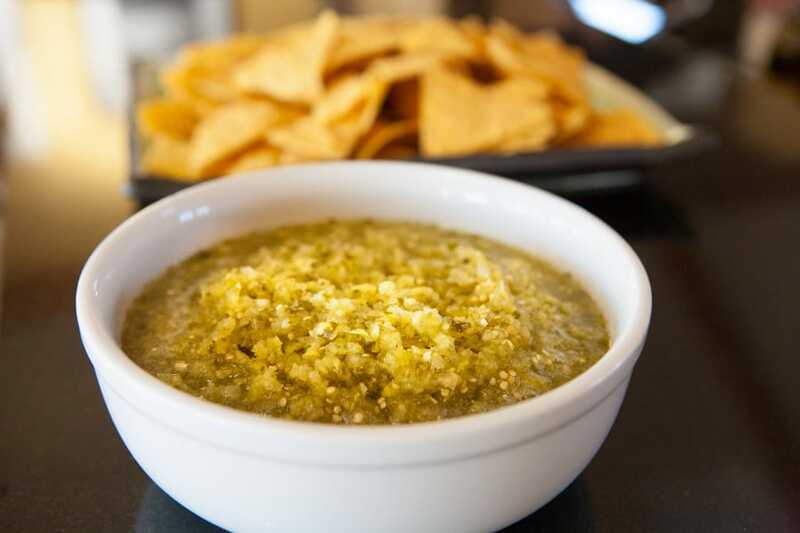 Place everything, including any liquid at the bottom of the bowl, into a fermenting vessel. I prefer a 1 gallon glass cookie jar, but a fermenting crock of course would be great. Press down very hard using your fists or other implement. You’ll notice that you can squeeze out a little liquid which will pool at the bottom. 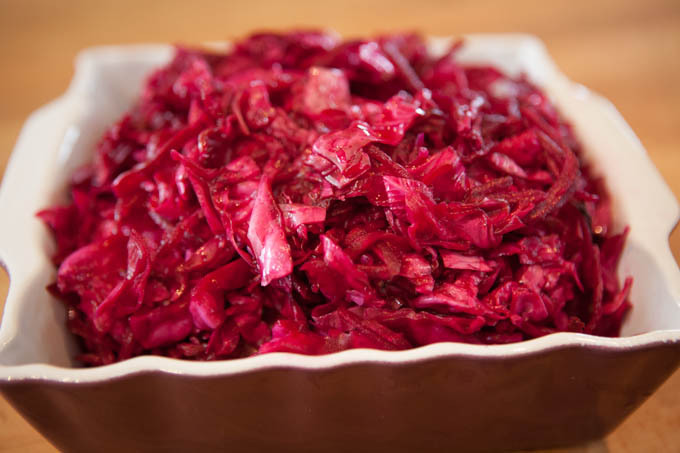 After you tire of compressing it, place something with some weight on top of the cabbage to effectively continue pressuring the cabbage while you are resting. I prefer a 1/2 gallon glass jar filled with water. 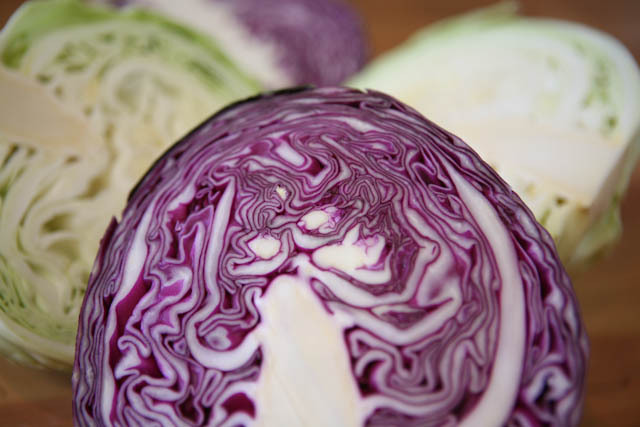 The salt will help to leach liquid from the cabbage. Compress with your fist a few more times over the next hour or two and try to get the liquid level up higher. Your goal is to have the liquid cover the cabbage completely to provide an anaerobic environment for the fermentation to take place in. If, after several hours or overnight, you can’t get the liquid level high enough, add some water (without chlorine please) to cover by at least 1″. Stir well to equalize the salinity level. Place the weight on it, again I prefer a 1/2 gal glass jar. Cover with a clean towel and let it sit for 10-14 days. Feel free to taste it every day or so to gauge the progress of the fermentation / flavor. Over time, you’ll find that the spices lose a little of their strong edge and settle in nicely. Place it in the refrigerator, I prefer to place in mason jars first, when you feel it’s ready. 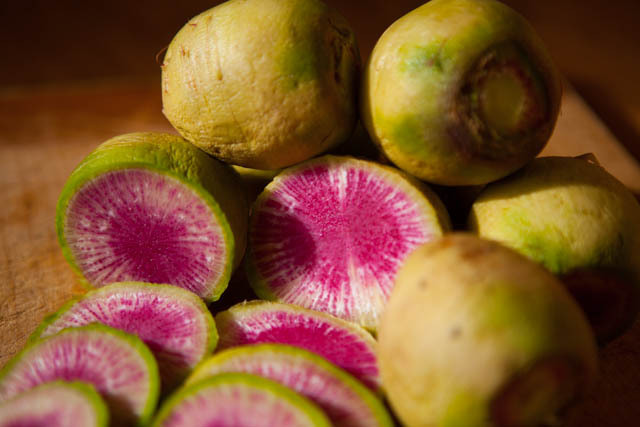 It should take about 10 days or so but that will vary with room temperature and other factors. 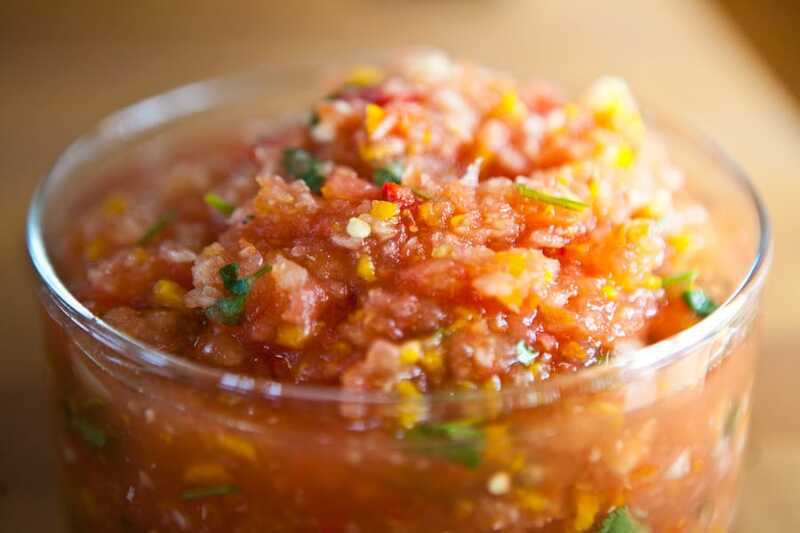 It’s a fabulous condiment with nice probiotic benefit and could go great on a veggie burger, in tortillas or on dosa. 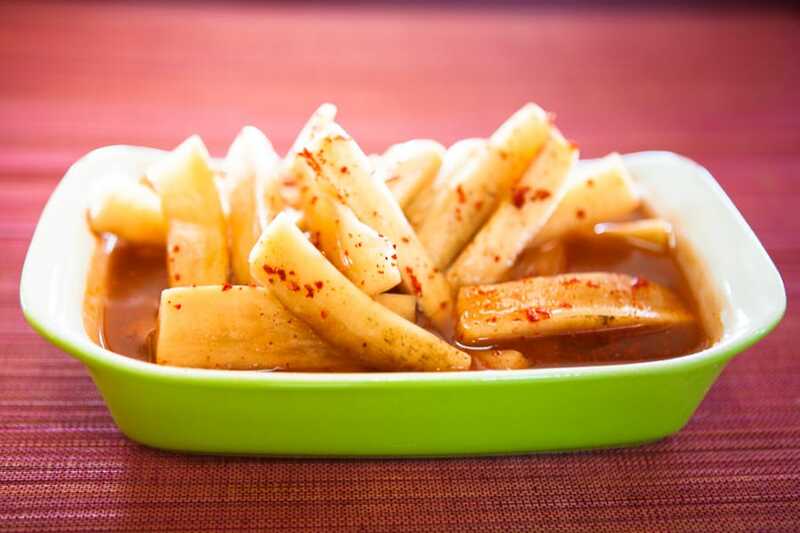 Of course it would work great as a side dish with Indian food. 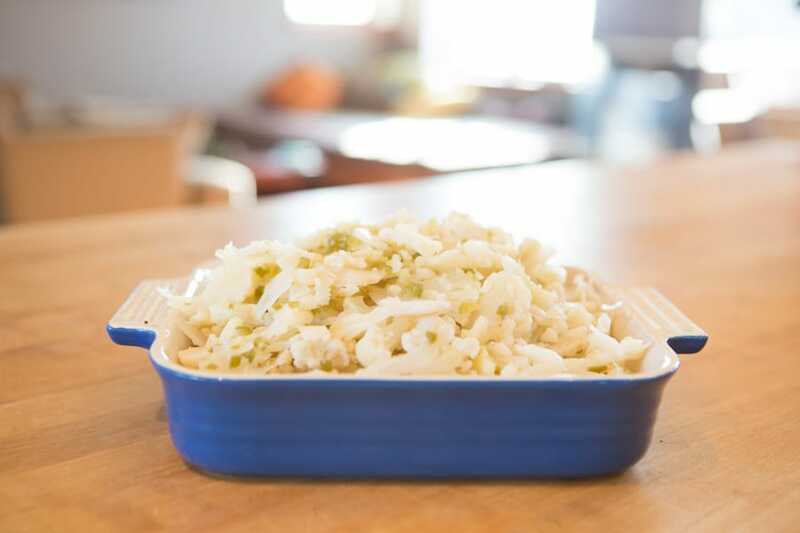 As a follow up note, I participate often on a Wild Fermentation discussion board and one day someone popped up with the question of where she could find the recipe for Shaktikraut, as she loved it when she made it but could no longer find it on the web. I shared the link for my own recipe for Shivakraut and she had simply confused the two names. 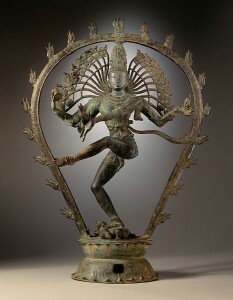 Now if she searches for Shakti rather than Shiva kraut, she should find it here. Thanks Google. Does anyone thank Bing? Slight bitter after taste, but still deicious for the diverse tastebuds! People enjoy the different layers of flavors of this recipe. Good point SukiAnne. It certainly doesn’t get in the way of a very enjoyable dish in my experience, but i think perhaps cutting back on the turmeric would help a little. I’ll try that next time. If it tasted too strong just let it cool store longer…you get the best flavors from letting them mellow. Ted, Just wanted to give you a shout out for this recipe. I have made lots of your recipes, and this one intrigued me for a long time. While it was fermenting, I opened the jar a few times to top off the brine, and really didn’t enjoy the scent – it wasn’t “off” but it smelled too strongly of turmeric to me, so I thought, hmm, maybe I won’t like this one. So I let it keep fermenting, and after about ten days I put in in the fridge, let it cool down for a couple of days, then reopened the jar and scooped some out to top off an impromptu curry I had made, and…. WOW! Without a doubt one of the best ferments I’ve ever tasted. The turmeric mellowed out, the flavors melded, and now I can’t get enough. I’m already starting a new batch. Thanks thanks thanks!!! You are welcome. I am about to jar up my own new batch of Shivakraut. I added some cauliflower to it this time and a little black salt (sulfury) and it’s delicious as usual. Glad you enjoyed and were patient enough. Fermenting is all about the wait! 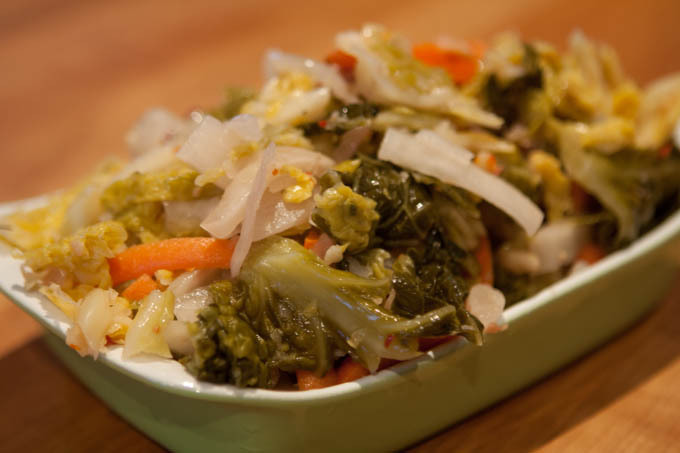 I just started fermenting my vegetables and found this Shivakraut recipe. Made it 6 days ago and today I tasted it. IT’S SO GOOD!!! Thank you so much for sharing this recipe online 🙂 I will definitely be making more once I can get my hands on more organic cabbage. Hi Yin, you found my fermentation crown jewel! 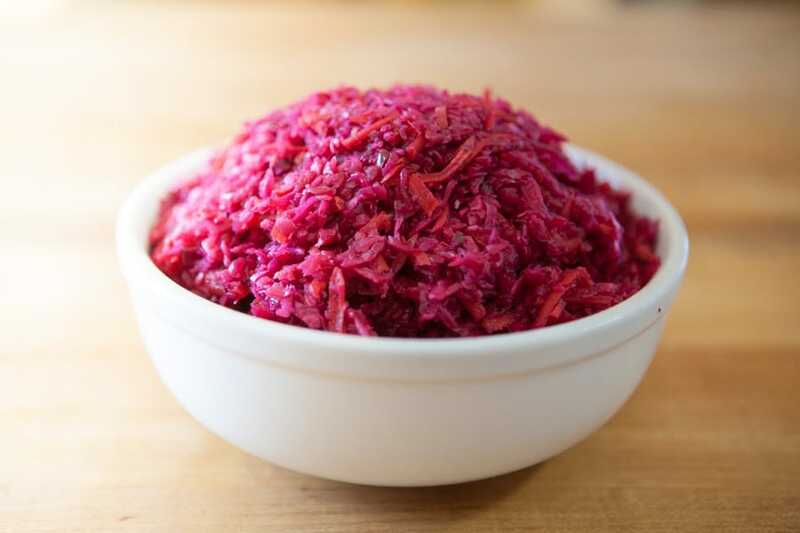 I love this ferment too. Glad you like! Minor question… is the Fenugreek in powder or seed form… excited to try this, and wonder if too much Fenugreek would make it reminiscent of maple? -s.
I use the fenugreek seeds, rather than the powder, although I’m sure the powder would be fine too. Also fenugreek is often referred to as methi. Thank you so much for the lovely recipie….. My fav that I have made so far!!!! ??? I’m excited for you. That’s really a great one, perhaps the recipe I’m most proud of. Time for me to make another batch as I’ve recently run out of the last of mine! Good luck and thanks for writing! Making another batch of this Shivakraut. Takes a little while during the fermentation process for the spices to mellow and meld together, but certainly worth the wait! 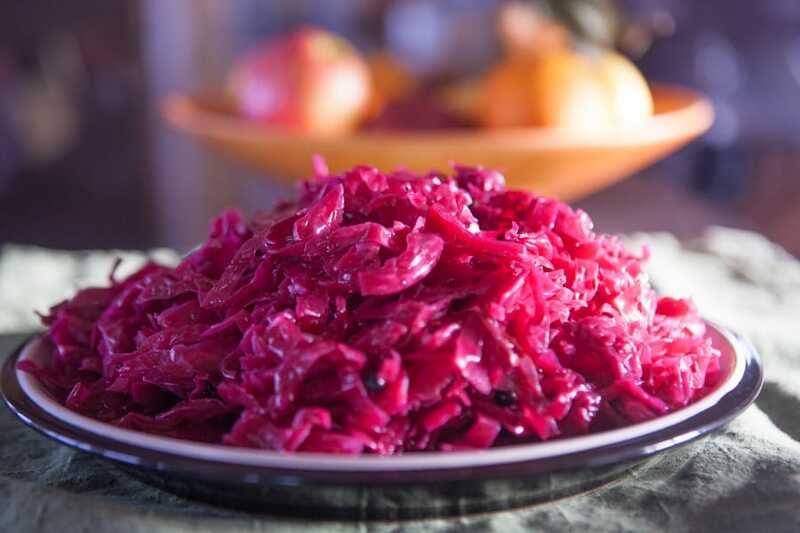 This along with the red cabbage sauerkraut are two ferments that I really don’t like to live without very long! Anyone adding other ingredients to this? Hi Ted, read this recipe with much interest. I have never tried ginger in my kraut, however; I am up for just about anything. My spring kraut is already canned for the year. This recipe I will keep for my fall cabbage. I do find that I love garlic in just about everything I eat short of sweets; so will have to give it a try with that addition. Thank you so much for your site. You must be a treasure at preparing food. Thank you Teresa. I just finished making my own big batch of Sivakraut. I love that stuff. Put some in nori rolls last night at dinner. This morning will be on olive bread crostini. Good luck and thanks for writing! I love Indian food and I was so thrilled to find this recipe. I actually had all the spices and seeds in my spice cupboard! I can’t wait to taste this in about 6 weeks or so. It is in a half-gallon mason jar with a special wide-mouth fermenter lid, and it is in my slightly cooler basement with 4 new quart jars of sour pickles. 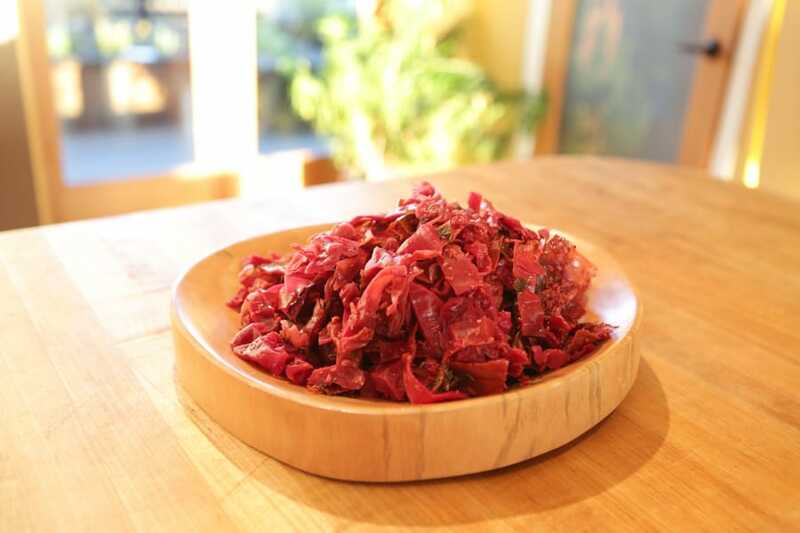 It will take a bit longer to ferment, from what I understand from my research as I am new to fermenting. My first quart of more traditional kraut will be ready to taste mid-August. My first half-gallon jar of sour dill pickles is almost gone! I added finely sliced pickling cucumbers left over from my pickles, and I slightly bruised my spices in a marble mortar and pestle to release more of the flavor. I also used a bit more fresh ginger and a little less turmeric. 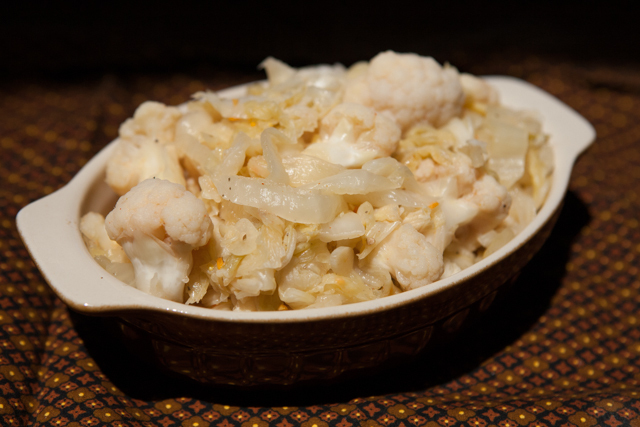 Just the cabbage alone tasted amazing, and the kraut…I will have to wait til September to find out. Good luck Julie! Can’t wait to hear how it goes! It was wonderful! I let it ferment into early October. 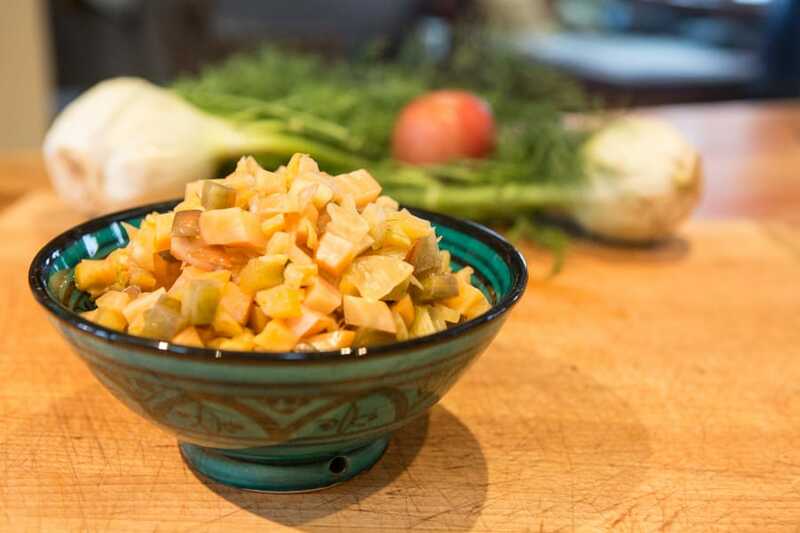 What a great combination of spices and flavors that were subtle yet distinctive in making this very different from regular kraut. 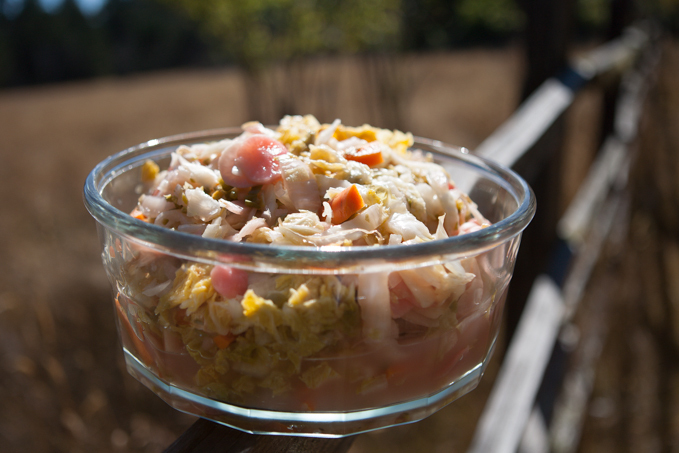 The thinly sliced pickling cukes were delicious in this kraut, too. This is definitely a favorite to be fermented again. 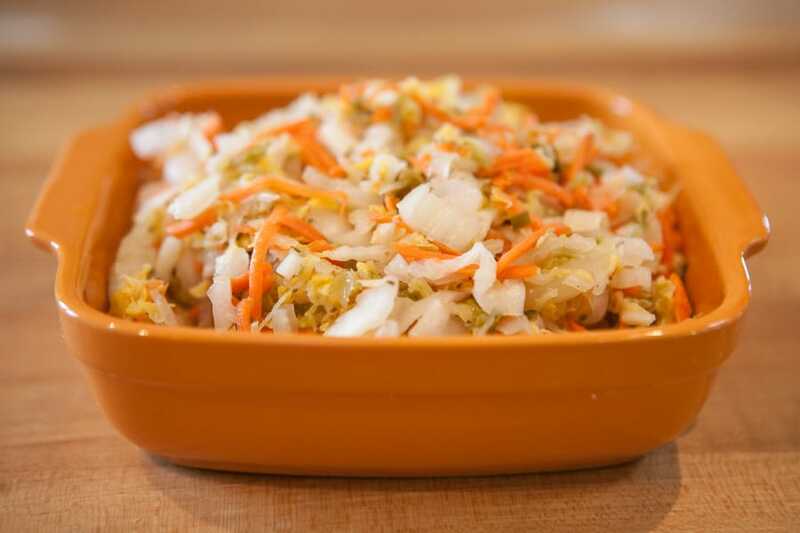 I love that this is kraut but with indian style spices. I love indian food, and I love sauerkraut. So I can’t complain when I find a recipe that includes both! I wonder how this would taste with naan and some other meat. Think of like a hot dog but with naan bread instead of a bun! Delicious. Thank you for sharing! I haven’t heard of “white cabbage” so I’m not certain how to reply to that. 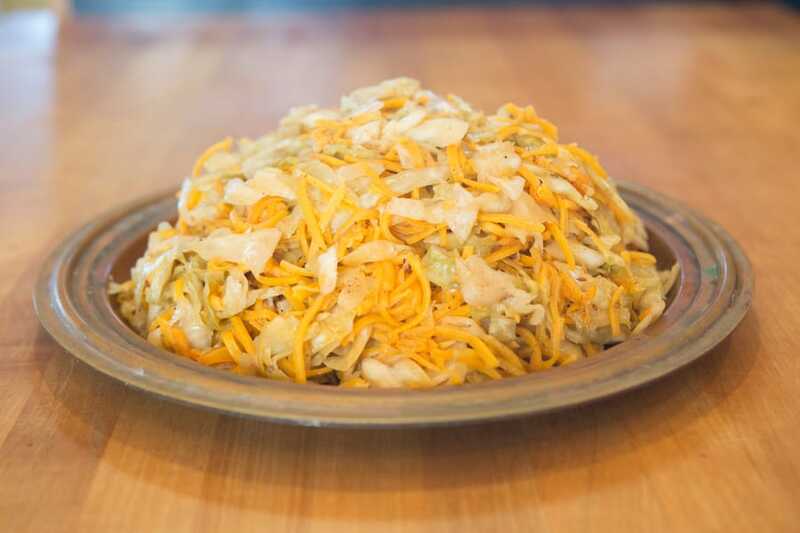 You can use pretty much any cabbage you want. As to temperature, the warmer the temp, the faster the ferment will go. I wouldn’t ferment in the fridge, however, unless you were willing to wait significantly extended times. Good luck Carol! When I make Kraute, I save the large outer leaves if they aren’t too funky. Once all the cabbage is packed into the crock, I blanch the leaves and spread them over the top of the shredded cabbage before putting in the weights. This keeps small shreds of cabbage from floating to the top. Blanching the leaves makes it easier to spread them out over the batch too. If there is an abundance of big leaves the rest can go into cabbage rolls.